ARTnTHAT: Keep up to date with ARTnTHAT on Facebook! 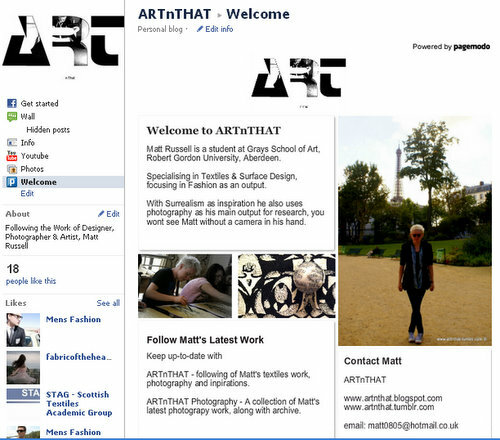 Keep up to date with ARTnTHAT on Facebook! After discovering this new spangled technology all the kids on the block are keeping up-to-date with...I decided ARTnTHAT should get onto Facebook after much demand. We all know Facebook has became a major part of peoples life and most read it each day like the morning paper, keeping up to date with friends and family across the world so why not ARTnTHAT too! To "Like" and follow both my blogs on Facebook click the link below! Thanks!! Vote for my Summer Shot please! !